Samsung's phablet roll out continues to be an unmitigated disaster. On Saturday, a 6 year old boy was watching videos on the brand new Note 7 smartphone when it suddenly exploded in his hands. He was rushed to a local hospital with burns on his hands and body and is now back home. “He doesn’t want to see or go near any phones. He’s been crying to his mother," said his grandmother. Samsung said it has been in touch with the family of the recently burnt and traumatized young boy. "We take every report very seriously and have contacted the Lewis family to learn more about their situation," a spokesman said in a statement. "As we are currently looking into this case, we are unable to comment further right now." 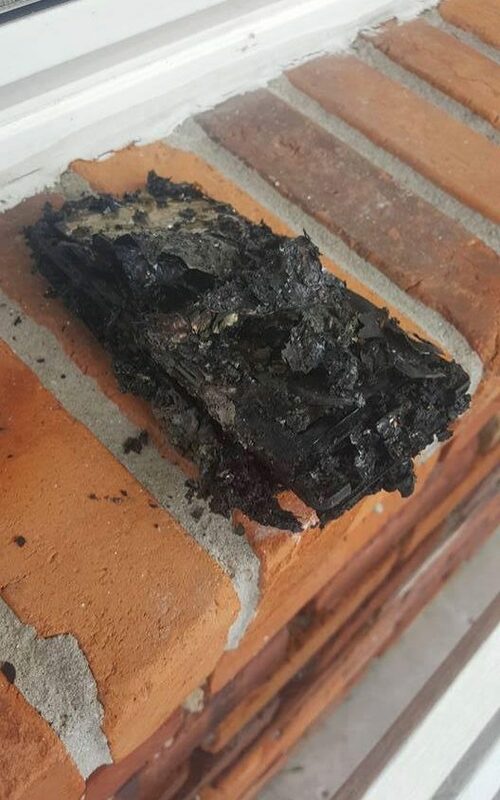 Sadly, this isn't the only report of a fire putting a Samsung customer in danger. Another Samsung Galaxy Note 7 owner, Nathan Dornacher, left his phone in his Jeep to charge after returning from a yard sale with his famiy. "I head[ed] back out to the car to grab my phone which was on the charger (me and Lydia always fight over the house charger) [and] open[ed] the door [to] see flames inside," said Mr. Dornacher. 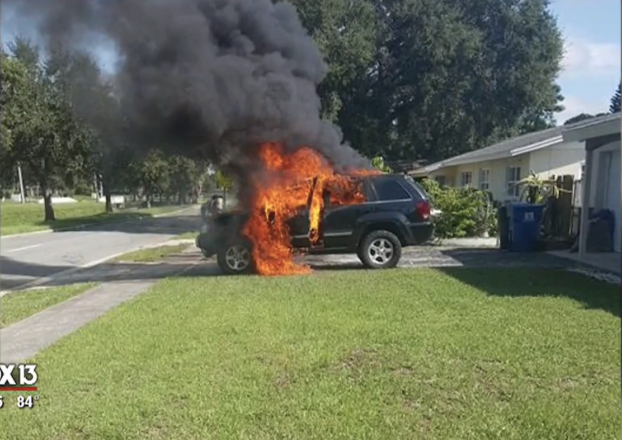 Mr. Dornacher walked out of his home to run some more errands to find his Jeep engulfed in flames. The battery had exploded while charging. "All I want out of this is for everyone to take this recall seriously and, if you didn't know about it, please educate yourself before it's too late. I had the phone for 5 days and, not having TV or a notification, we did not know. We are safe, no one was hurt [and that is] all that matters to me," said Mr. Dornacher on Facebook after dealing with the fire in his driveway. Samsung's stock was down 7% today in South Korea and the company finds itself in the midst of a public relations nightmare. Adding insult to injury is Apple's reveal of the iPhone 7 and 7 Plus phones last week. Customers' loyalty to the Samsung will undoubtedly be tested by this enormous product safety recall. Any of our readers with a Samsung Galaxy Note 7 should exchange their smartphones immediately. Just over a week ago, Samsung Electronics announced a global replacement program for the Galaxy Note7 as a precautionary measure due to a battery cell issue. Since then, we have been working hard to expedite product shipments in order to fulfill that exchange program and reduce any inconvenience for our customers. During the past week, we understand that there are concerns from our customers and we wish to emphasize the importance of exchanging the product. Although there have been only a small number of reported incidents, Samsung is taking great care to provide customers with necessary support. Samsung has identified the affected inventory and stopped sales and shipments of those devices. We are also collaborating with national regulatory bodies. Customers who have Galaxy Note7 devices can replace their current device with a new device based on local availability. We encourage Galaxy Note7 customers to contact their place of purchase or call the designated call center locally as soon as possible. Photos used in this article are courtesy of Nathan Dornacher's Facebook.